Glucosamine/Chondroitin Capsules from Life Extension® are a dietary supplement that may build cartilage. This formula could relieve pain and stiffness of inflamed joints and might increase mobility. 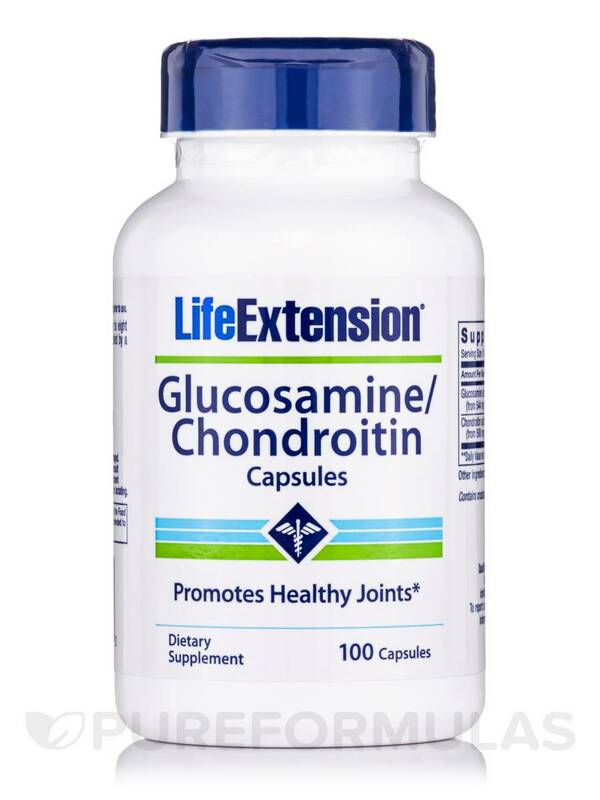 Glucosamine present in this supplement from Life Extension® is a glucose containing molecule that naturally occurs in joints and connecting tissue. It forms larger molecules‚ which contribute to cartilage repair and maintenance. Cartilage is the flexible firm tissue that provides cushioning at the tips of bones to protect and strengthen your joints. Glucosamine also helps form hyaluronic acid that serves as a lubricant for your joints. Studies reveal that glucosamine could ease age related pain and joint inflammation‚ improve range of movement and slow the degeneration of your joints. Chondroitin is present in cartilage‚ especially in the fluid surrounding the joints‚ and it could promote healthy joints by reducing pain and swelling. It may prevent the breakdown of cartilage and enhance the ability of cartilage to retain water. It may also help build new cartilage. Improve your cartilage health and get relief from joint pain with Glucosamine/Chondroitin Capsules from Life Extension®. Other ingredients: gelatin‚ vegetable stearate. Contains crustacean shellfish (shrimp‚ crab). Take one capsule one to eight times daily with food‚ or as recommended by a healthcare practitioner.